Mr. Tomar is the founder and president of Terrapin Information Services Corp. Mr. Tomar received an MBA from University of Pennsylvania - Wharton School of Business with concentration in Information Science. Mr. Tomar worked for the City of Philadelph in the Managing Director's office prior to moving to the Washington DC area and starting Terrapin Information Services Corp. In addition to developing software and systems, Mr. Tomar taught a number of computer related courses for a wide variety of organizations. Mr Tomar taught and was on the faculty at the University of maryland and Montgomery College. For the past 15 years Mr. Tomar has also been involved in a number of International projects which have taken him to over 25 countries in his capacity as an IT expert. He has worked in projects in China, Mongolia, Nepal, Vietnam, Pakistan, Tajikistan, Turkmernistan, Ukraine, Lituania and Egypt. He has worked as consultant to the World Bank, Asian Development Bank, US AID, European Union and Inter American Development Bank. 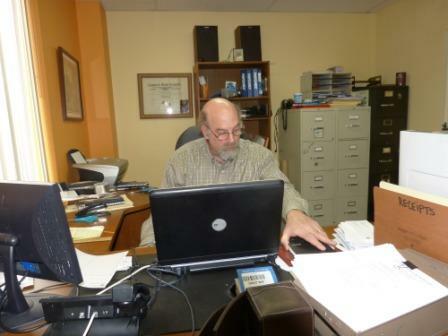 Mr. Eaddy has worked with Terrapin Information Services Corp from its founding in 1982. Mr. Eaddy also runs a seperate company Information System Headquarters (ISHQ) which works closely with Terrapin Information Services and is located in the same office. Mr. Eaddy received a BS degree from Clemaon University with a major is Physics. He has an extensive programming background. He is a recognized expert in MS ACCESS and MS SQL server. Mr. Glinkowski has a masters degree in engineering from Lublin University in Poland. He has worked for Terrapin Information Services Corp. since 2000 and has been responsible for network support to over 100 clients during that time. Mr. Glinkowski is knowledgable in a wide variety of operting systems. He is also familiar with most of the popular office productivity tools and anti-virus and anti-spyware programs. Mr. Glinkowski is a Microsoft Certified Systems Engineer(MCSE) and a Certified Cisco Network Engineer(CNE). He has taken several continuing education courses with Microsoft, Cisco and Symantec Corporation to name a few. Mr. Blaszkiewicz specializes in web site development. His expertise includes HTML, XML, Java and ASP. He is a Microsoft Certified Systems Engineer (MCSE) and also works on network support projects as well. He has worked with Terrapin Information Services Corp. since 2000. Copyright 2013 Terrapin Information Services Corp.. All rights reserved.